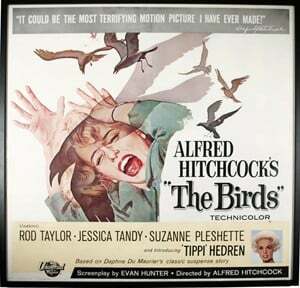 If you’re a fan of Alfred Hitchcock’s 1963 “The Birds” starring Tippi Hedren and Rod Taylor in which our feathered friends go psycho, pecking townspeople to death, make a quick stop in Bodega, California to see the Potter School. You might recall the schoolhouse of Annie Hayworth (played by Suzanne Pleshette) where screaming children fled for their lives and Annie met her demise. 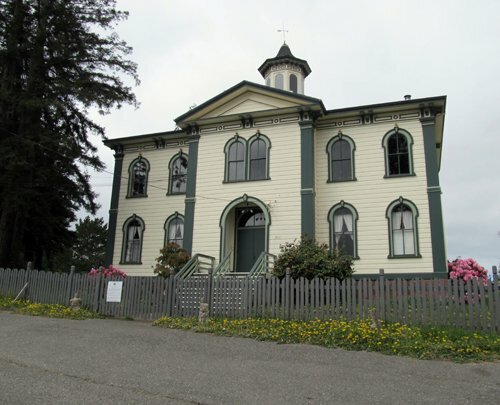 In the film, the school appears to be just up the hill from Bodega Bay (reminiscent of a New England fishing village and the setting of the film), but in reality, it’s located about five miles south and inland, in the tiny town of Bodega. Today, the 6,000 square foot building looks pretty much like it did in the film, except for a fence that didn’t exist back then. There are no tours (it’s a private residence), but you can snap an exterior photo and have fun remembering the scenes in the famous horror film. Taylors restored the Italianate structure to its original splendor. Today, the house is still owned and lived in by members of the Taylor Family. Sixty-five miles north of San Francisco, Bodega Bay itself is a picturesque coastal town filled with restaurants, hotels, campgrounds, marinas, shops and more. It’s a lovely setting to spend a day or longer. When you drive through Bodega, however, you won’t find much more than the Potter School. 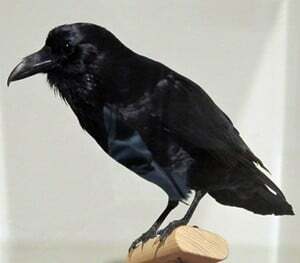 But you will see a statue of Alfred Hitchcock outside the Bodega Country Store so you’ll know you’re in the right spot. 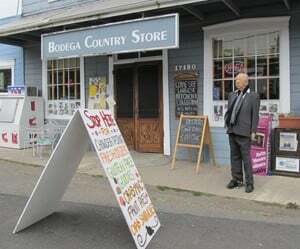 If you’re a fan of the movie, it’s worth a quick visit to Bodega just to say you did!